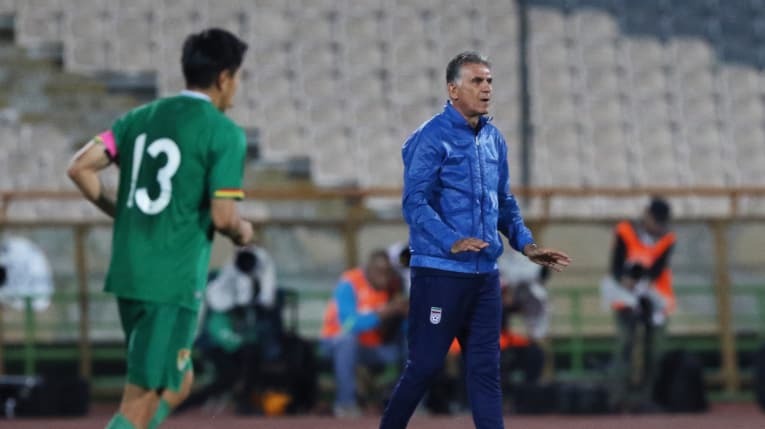 January 7 – Iran coach Carlos Queiroz showed his satisfaction with his team’s 5-0 demolition of Asian Cup debutants Yemen in their opening game, warning that the Asian Cup is not a “cheese cake” before picking a fight with Persepolis coach Branko Ivanković back home. 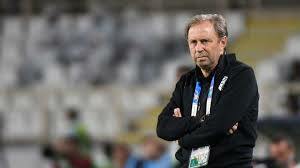 January 8 – Srecko Katanac, the Slovenian in charge of Iraq, is back in the UAE but this time as manager of Iraq. Charged with rebuilding what was an aging team, he has his sights set on 2022. He spoke with Samindra Kunti. January 7 – Iran asserted their title credentials at the 2019 Asian Cup with a resounding 5-0 demolition of tournament debutants Yemen in their opening Group D game. Medhi Taremi, twice, and an own-goal inside the first 25 minutes set Iran on the path of a comprehensive victory. 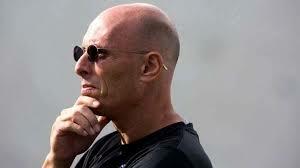 January 7 – Serbian coach Milan Rajevac was relieved from his role as Thailand coach after a disastrous 4-1 defeat at the hands of India in their opening group A game in the 2019 Asian Cup. 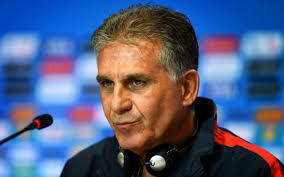 January 6 – Iran have not won the Asian Cup since 1976 and as Team Melli chase a fourth continental title Carlos Queiroz has stressed that Iran are not underestimating Yemen in their opening fixture, calling it “a crucial game”. 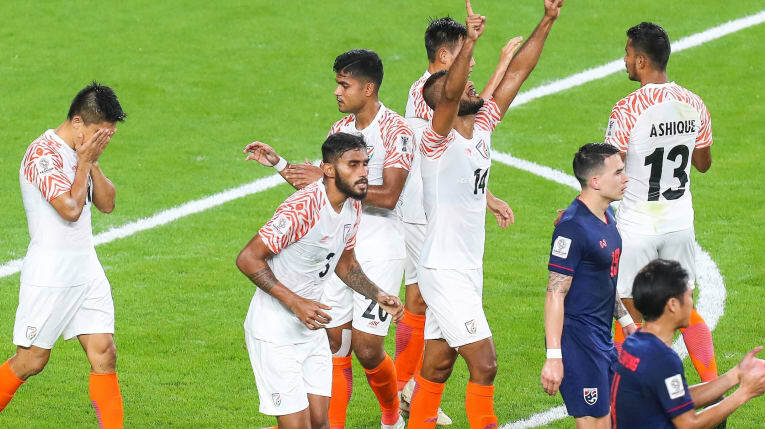 January 6 – India enjoyed a dream start in the 2019 Asian Cup as the Blue Tigers outclassed Thailand in a 4-1 victory in their opening game, but a down-to-earth head coach Stephen Constantine refused to get carried away and called the landmark win just “another result”. January 6 – India steamrollered Thailand 4-1 in their opening game on Sunday to take a huge step towards reaching the knockout phase of the Asian Cup for the first time. Talisman Sunil Chhetri scored twice as Anirudh Thapa and substitute Jeje Lalpekhlua also got on the score sheet. January 6 – Day 2 Game 2 and the AFC Asian Cup 2019 burst into life with another surprise result as reigning champions Australia were beaten by a goal in their opening group game by a jubilant Jordan. Last night hosts UAE were held to an unexpected draw by Bahrain in the opening game of the tournament. January 5– UAE Striker Ahmed Khalil saved the host nation’s blushes with a late penalty as the United Arab Emirates drew 1-1 with Bahrain in the opening game of the 2019 Asian Cup. By Samindra Kunti at the Zayed Sports City Stadium, Abu Dhabi. 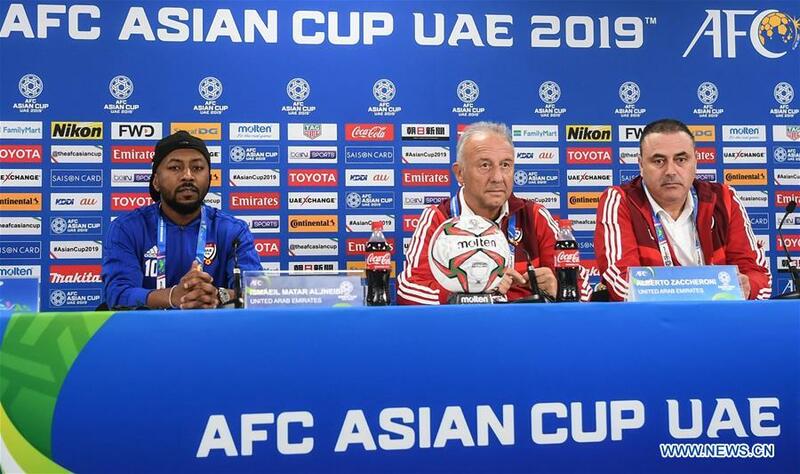 January 5 – United Arab Emirates coach Alberto Zaccheroni (pictured centre) thinks that history can still repeat itself for the host nation after his team stumbled to a disappointing 1-1 draw in the curtain raiser of the 2019 Asian Cup. The Italian won the Asian Cup in 2011 after Japan were held in their first game by Jordan. January 5 – He may be little known in his home country, yet he is the man largely credited with waking one of Asian football’s sleeping giants from its seemingly interminable slumber. 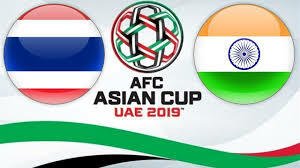 January 5 – India and Thailand will focus on kicking off their Asian Cup campaign in winning style on Sunday at the Al Nahyan Stadium as the two nations have subdued tournament expectations after enduring a troublesome build-up to the finals. January 5 – The 2019 Asian Cup opener today between the host nation UAE and Bahrain will be only the second encounter between the two national teams in this competition. The first was in the 2015 Asian Cup in Australia. UAE won 2-1. January 4 – The opening match of the Asian Cup tomorrow at the Zayed Sports City Stadium in Abu Dhabi marks what is a significant change in the geographical focus of the international football world for the next four years. It also marks a big step forward for the Asian Football Confederation and its competitive framework. January 4 – The Asian Cup teams are gathering in the UAE for the start of the 2019 AFC Asian Cup finals but the pathways into the country are proving far from smooth for some officials and media with yesterday the UAE refusing entry to Asian Football Confederation vice president Saoud al-Mohannadi from Qatar, chairman of the organising committee for the championship.